This home in Grand Rapids needed some help from American Classic to boost its curb appeal. An American Classic Crew arrived and first installed new shingles. The shingles installed were CertainTeed Landmark Georgetown Grey. Next, the new siding was installed. 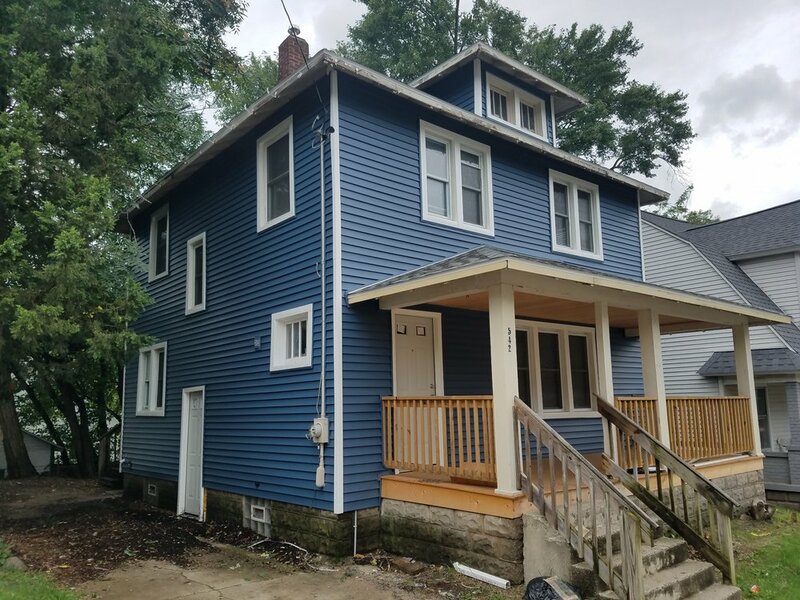 The siding was PlyGem Variform Contractor’s Choice D4 in Pacific Blue. New doors from ThermaTru were also installed.